May 25: 5 POWER Lessons From 5 Leaders Who Made History On This DAY! We all dream to live like legends. But, in order to fulfill that dream, you got to give your heart and mind to the success tips from some of the legends from history. Follow them to change your life. It is either fire which has to stay on to burn rapidly and spread into a bonfire or water that continuously and consistently drench the fire to put it off. An achiever’s heart also nurtures either fear or hope. Hope has all the potential to drench the discouragements, negativities, confusion and everything that inhibits your success from reaching you. It fills you up with positive thoughts and gives meaning to your wait for welcoming success. Nature gives us only two options. A very positive, truth-filled optimistic feel which assures you that success is on its way to reach you, is what is hope which certainly pushes fear, an unwanted feel that hinders every thought and every move, out of its place. So, you either win by hoping for success to decorate your life or lose by getting scared to face the reality and act. 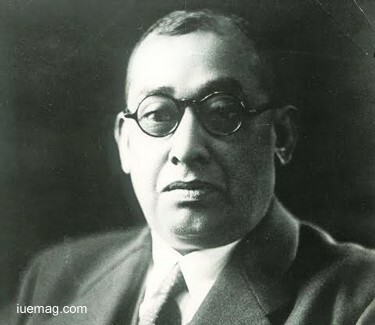 Rash Behari Bose made a clear distinction between fear and hope. He had understood that hope is something that dissolves all the fear and puts it out of place. He was one of the revolutionary against the British Raj in India. He was also one of the key organizers of the Gadar Revolution and the Indian National Army. The courageous dreamer had his mind occupied with revolutionary ideas and he never hesitated to take a step against the wrong. Since he was clear about what he had to fill his heart with, all the fear ran away from him as soon as hope entered. Ups and downs are very common and are always there. They keep our journey refreshed. Unless there is a down, we never cheer up to work harder than what our potential is and achieve more than what we dream; whereas, ups keep us going. They act as rewards for our sincere attempts. Only when we attempt, ups and downs encounter our lives. Only when we take a chance to exhibit our talent and skills, the world gets to know what we are. This helps us reach our destiny as soon as possible. All of us want to succeed, but how can we succeed until and unless he give it a try? 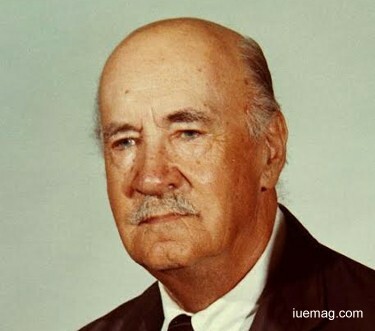 Igor Sikorsky believed that attempting and trying would not just fetch experience, but also a lot of learnings. The Russian-American aviation pioneer in both helicopters and fixed-wing aircraft met his first success by designing and constructing the second fixed wing plane. 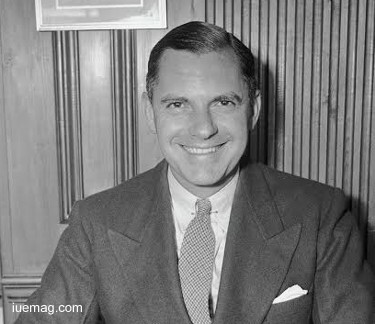 He Founded the Sikorsky Aircraft Corporation and he developed the first of Pan American Airways' ocean-conquering flying boats. His work was honored and received the highest award at the 1912 Moscow Aviation Exhibition. Winning all his attempts, he proved that life favors those who try without hesitating. Not leaving any opportunity, Sikorsky designed and flew the Vought-Sikorsky VS-300, the first viable American helicopter, which pioneered the rotor configuration used by most helicopters today. Along with people, thoughts, and attempts, circumstances make our lives. The situation is an instance of every jerk that life can give you or every gift that life has planned for you. It teaches us how to accept the reality and face it. It also brings challenges into your life which tests your personality and potential. The situation in itself is neither complimented nor simple. Your perceptions are the ones which handle every situation to make it simple or complicate it by issuing implications. There is lot to learn from these situations. There help us add onto our experiences and learnings. When life tests you, take it to understand where you stand; when life teaches you, learn it to make your future bright; when life makes you fail, accept it to make yourself strong. Ultimately, all that comes into your life is responsible to bring out the best in you. Jacob Burckhardt looked only at what could better his life in every situation that came across. The most influential figure in the historiography of art and culture was one of the major progenitors of cultural history. The founder of history did things all by him and only then believed. He trusted the sources and respected the academic discipline. He handled these situations and turned them to his side for favoring him. He was also called as the great discoverer of the age of the Renaissance. Life with negativities takes you nowhere. It is the small bits of joy, positivism and happiness that helps you grow to the tallest extent possible. Hatred, jealousy and guilt make a cheerful mind sick. And nothing productive and constructive can be expected from a sick and unhealthy mind, heart and soul. Send all the pests such as worries, unhappiness and sorrow out of your life. Send them as far as possible so that they can never return. Above all, this makes way for ecstasy, happiness, contentment, satisfaction, success, achievements and all the pleasures in the world to enter your life. Everything lies in our hands. It all happens when you lock the doors of darkness and knock the doors of happiness. Bennett Cerf refined his heart to make enough space for success. He won and he deserved it. The American publisher was one of the founders of American publishing firm, Random House. Spending his teenage in building an apartment, he was also known for his own compilations of jokes. Appearing in the panel game show, he compiled a large set of experiences which let him swim across the waves of life. Working for the New York Herald Tribune and for some time in a Wall Street brokerage, he became the vice-president of a publishing firm. He shaped the American publishing business. People come and go, things happen, time rolls, incidents scroll but the all of it would have certainly left an impact our every cell of our lives. We got to notice each and everything and observe each and every bit. The superficial surveys don’t work; we got to introspect to uncover not only the facts, but also the true evidences which prove that life has purpose and leading it fulfills this purpose. Rather than measuring the merits and demerits of what has happened, learning and discovering why it happened and taking our lives forward is very important. After all, we all have to believe that the only way to succeed is go through, face and learn from whatever happens. This helps you complete the purpose of your life. 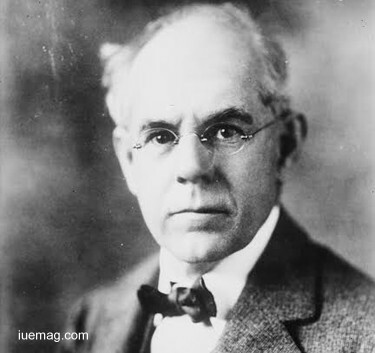 James McKeen Cattell focused on the minute lessons which life and instances thought him rather than digging the advantages, disadvantages and their effects. The American psychologist was the first professor of psychology in the United States at the University of Pennsylvania. Serving as a longtime editor and publisher of scientific journals and publications, he contributed largely to the field of journal Science. 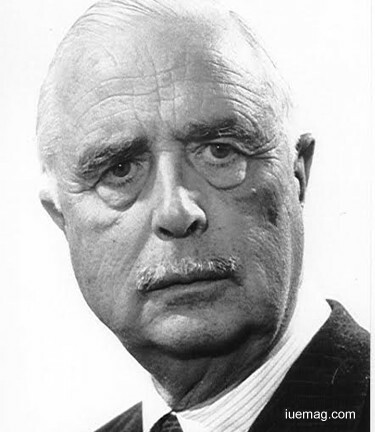 The board of trustees for Science Service graduated in four years with the highest honors and understood that he was here to take psychology to a very high level. Let the world follow you and respect you while you make it a point to not just live but achieve. We wish you to set an example and live like an idol! Any facts, figures or references stated here are made by the author & don't reflect the endorsement of iU at all times unless otherwise drafted by official staff at iU. This article was first published here on 25th May 2017.